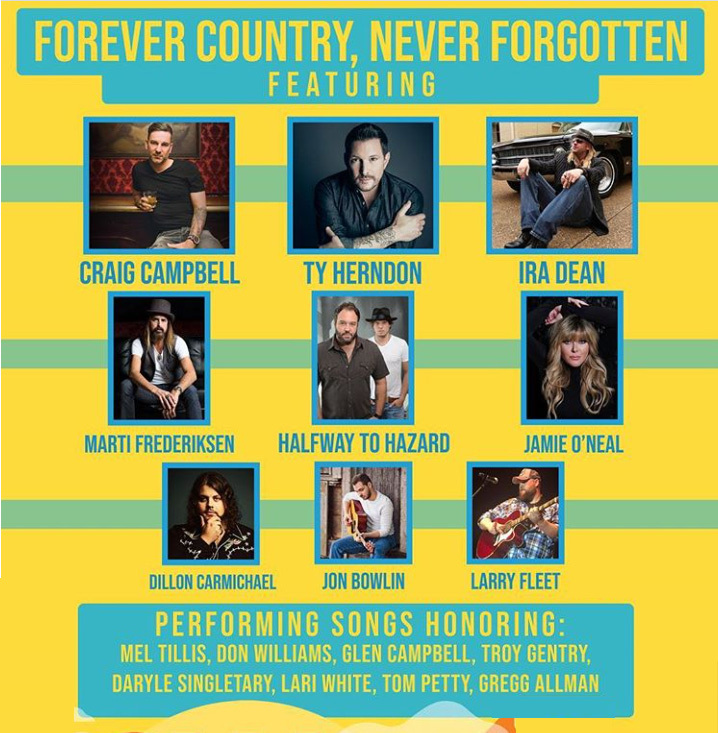 Budweiser Forever Country Stage - Forever Country, Never Forgotten Lineup Announced! 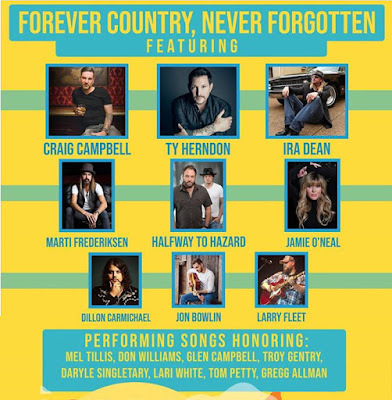 Craig Campbell, Ty Herndon, Ira Dean, Marti Frederiksen, Halfway to Hazard, Jamie O'Neal, Dillon Carmichael, Jon Bowlin, and Larry Fleet will perform a tribute to country legends who have recently past, on Saturday, June 9, 2018 at 3:30 PM on the Budweiser Forever Country Stage. They will honor Mel Tillis, Don Williams, Glen Campbell, Troy Gentry, Daryle Singletary, Lari White, Tom Petty, and Gregg Allman by performing their songs. It is sure to be a moving event.